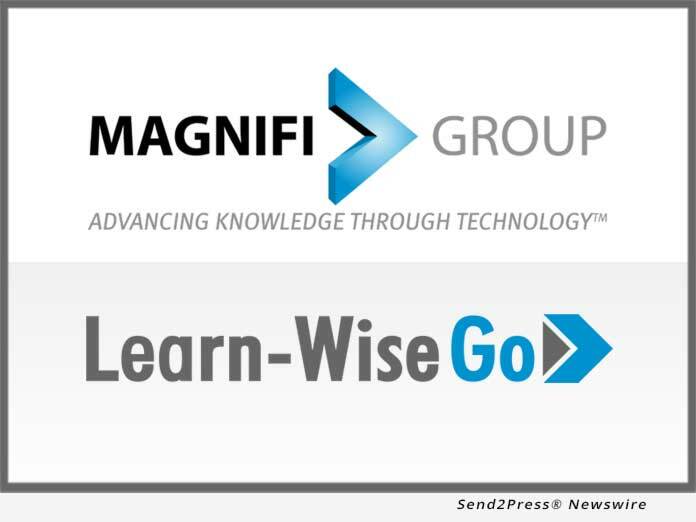 SAN DIEGO, Calif. /California Newswire/ — Magnifi Group, a leading provider of educational technology solutions, has joined membership of the WYSE Travel Confederation. WYSE Travel Confederation is a world-renowned not-for-profit organization serving the youth, student, and education travel industry. WYSE membership enables Magnifi to serve the Student and Youth Travel Industry with its state-of-the-art eLearning platform, Learn-WiseGo. “There is a significant opportunity within the Student and Youth Travel market,” said Kristin Leeman, Managing Director, Magnifi Group, Europe. “We are seeing companies identify the value of eLearning; not only from a ROI perspective, but also to be compliant in critical areas such as Risk Management,” Leeman added. Magnifi Group will be exhibiting with WYSE Travel Confederation at the largest travel-focused trade show, ITB Berlin, 6 – 10 March, 2019. Magnifi Group is a developer of dynamic online training solutions for leading global corporations. The company also hosts live courses for surgeons including the Spine IEP Fellows and Young Surgeons’ Course and the Lower Extremity IEP Fellows and Young Surgeons’ Course.